Could MOOCs revolutionize international student recruitment and transnational education? With innovative, adaptive, high-quality learning opportunity offered at a low-cost, perhaps, MOOCs are at the cusp of making a big breakthrough. It is not only going to increase competitive pressure on for-profit online education sector but also traditional not-for-profit universities and colleges. Both of them have to justify their cost-structures and value of credential in times of increasing competition and decreasing resources. Given that international student recruitment is a costly and complex affair which is becoming even more challenging with the limitations of using recruitment agents, MOOCs offers an innovative model of engaging prospective students through content and cultivating a pipeline without losing control of process. When you buy a car, you take a test drive, wouldn’t it be a great value for prospective students to take a test course before they apply? There is already an evidence of significant interest for MOOCs from abroad. In fact, for Coursera, nearly three-fourth of the course-takers are from outside the US. At another level, MOOCs will propel the growth of transnational education and glocal students. I define glocals students as having global aspirations with local experiences. Glocals represent the segment of students who typically seek transnational education (TNE) including international branch campuses, twinning arrangements and online education. For example, more than 113,000 students studied wholly overseas for a UK qualification through “Distance, flexible or distributed learning” in 2010-11. Likewise, more than 28,000 international students were enrolled in Australian offshore programs through distance learning in 2010. Now, American institutions could enter transnational education market in an innovative way through MOOCs. 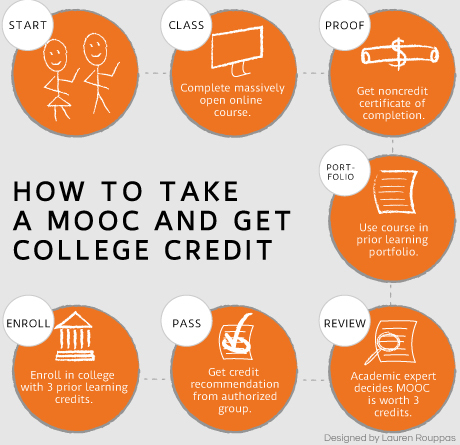 Currently MOOCs courses are not credit bearing, however, as pathways for translating “prior-learning” from MOOCs into credentials emerge, more glocal students will start pursuing MOOCs. Thanks for creating and running this wonderful blog. I highly appricate the your efforts. Can change the entire education delivery structure in the world like never before. If MIT designs some standard online exams for its graduate or post graduate courses and provides online exams via Promatric or VuE platform, it can actually take its entire delivery online to the entire world. If our social life can go online with facebook, why our campus life can’t go online and the peer learning experience which is said to be present only inside the physical campus can infect be enhanced in the virtual world and an MIT can be become a global phenomenon with free online delivery and paid online assessments and certifications. But in that case what will be the fate of other average and below average institutions of learning spread across the world. Who will go to an ordinary engineering college if he has MIT as an option? In such a case, what picture will emerge? What will be the positive outcomes of this upheaval? It may be a creative destruction but million dollar question is what new opportunities will be created with this?